Children are important Garden visitors and we have set aside a special area for their enjoyment and learning. The children’s play area, located near the restaurant, offers scope for various safe activities and games. 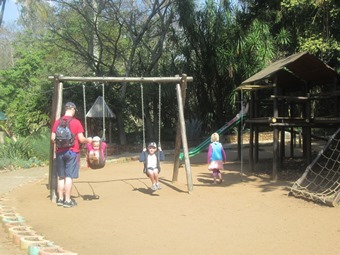 Garden connects children with the natural environment and enables them to learn while playing. With a little pond full of dragonflies and damselflies in the area, children can spend time watching the insects hover over the water. This area is wheelchair-friendly and has paved pathways. Children over 12 years and adults are not allowed to use play area.